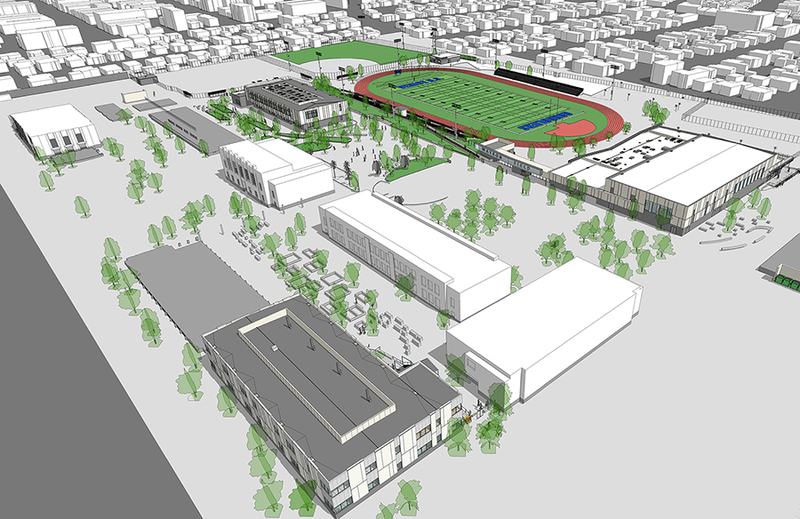 John A. Martin & Associates, Inc. Work Begins on LAUSD’s Venice High School Modernization - John A. Martin & Associates, Inc.
JAMA was part of the winning Design-Build pursuit for Venice High School’s comprehensive modernization, and is getting underway on designs with Architect NAC and Contractor Hensel Phelps. The project, which will upgrade existing infrastructure and campus-wide structures, will also construct multiple new venues. New construction includes two, two-story classroom buildings, a gymnasium with faculty offices, specialty classrooms and locker rooms, outdoor athletic fields, a new parking lot and four small support buildings. Venice High, based on its physical state, was identified as one of the District’s 11 priority schools among a pool of 584 campuses district-wide.